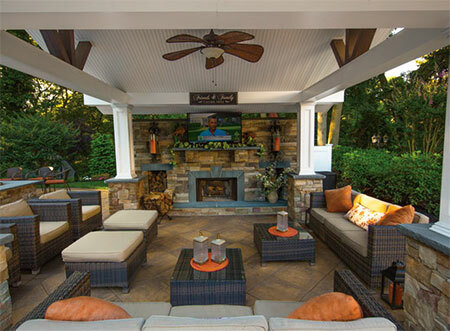 Don't let the sun or rain cramp your outdoor living style! 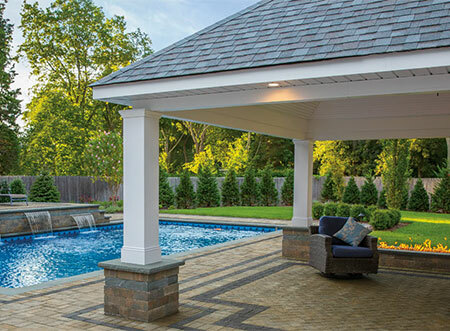 Perfect alone or in combination with other Cambridge kits, the Pavilion Kit from Cambridge will provide a year-round, low maintenance gathering spot that will beautify any project. This substantial and well-appointed structure is constructed of traditional building materials with all exposed surfaces using low maintenance materials. Select either a cathedral or a flat ceiling. Choose between two standard sizes (10' x 15' and 12' x 18') or specify any custom size to meet specific requirements of your project. Includes four 10" diameter, fiberglass Tuscan columns to be set on any Cambridge Column (not included). Pre-crafted components and hardware along with a complete set of drawings and construction techniques are provided to facilitate installation by your carpentry crew or take advantage of an optional local installation service.